A poem written concerning a mother and daughter discussing marriage. 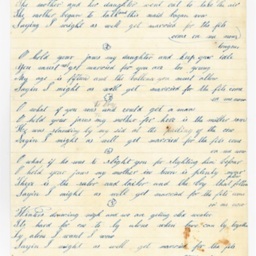 The author of the poem is unknown. 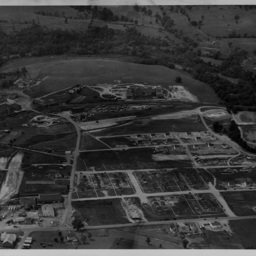 It is dated January 1 1857 and is labeled as being written in Timberville Virginia. 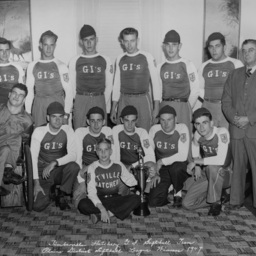 Photograph taken by William Hoyle Garber showing the Timberville Hatchery's GI Softball team in 1946. 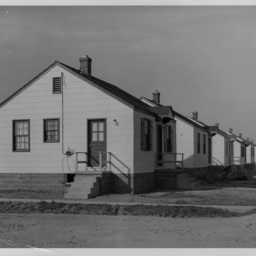 Photograph taken by William Hoyle Garber showing houses at the subdivision developed by Howard Zigler on the southern edge of Timberville Virginia. 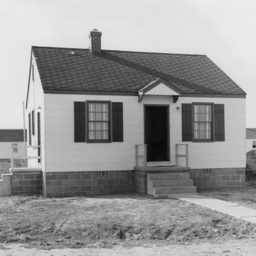 Photograph taken by William Hoyle Garber showing of the southern edge of Timberville Virginia. 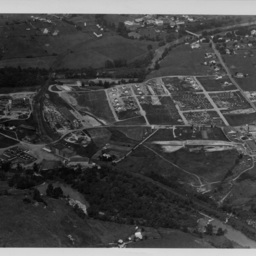 Photograph taken by William Hoyle Garber showing an aeriel view of the Shen-Valley Meatpackers plant and the Zigler subdivision located in Timberville Virginia. 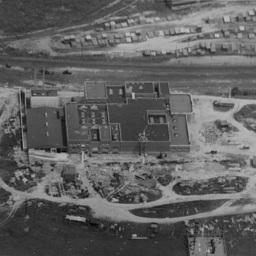 Photograph taken by William Hoyle Garber showing an aerial view of the Shen-Valley Meatpackers building and the neighboring Zigler subdivision under construction. 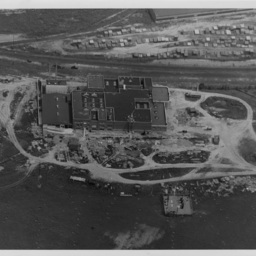 Photograph taken by William Hoyle Garber showing the Shen-Valley Meatpackers Building under construction. 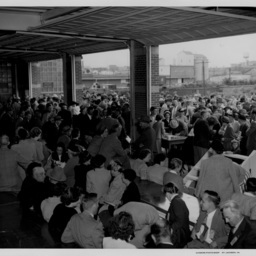 Photograph taken by William Hoyle Garber showing a crowd at the opening of the Shen-Valley Meatpackers plant in Timberville Virginia. 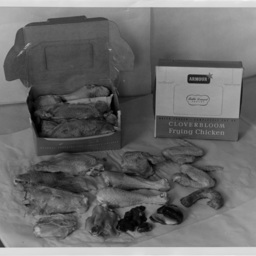 Photograph taken by William Hoyle Garber showing Cloverbloom Frying Chicken. This item was displayed during the opening ceremony for the Shen-Valley Meat Packers Inc. plant in Timberville Virginia. 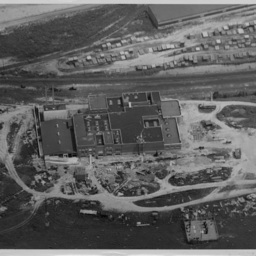 The plant opened in late 1949. 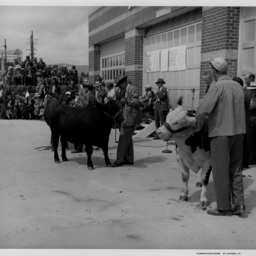 Photograph taken by William Hoyle Garber showing men with cows during the opening ceremony for the Shen-Valley Meat Packers Inc. plant in Timberville Virginia. 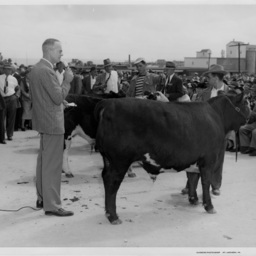 Photograph taken by William Hoyle Garber showing a man with a microphone and several cows during the opening ceremony for the Shen-Valley Meat Packers Inc. plant in Timberville Virginia. 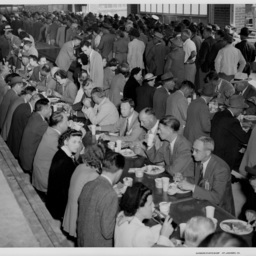 Photograph taken by William Hoyle Garber showing a crowd enjoying a meal at Shen-Valley Meat Packers Inc. in Timberville Virginia during its dedication. 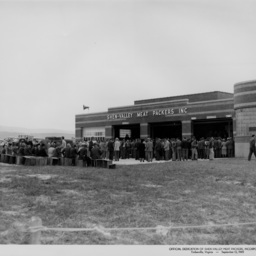 Photograph taken by William Hoyle Garber showing a crowd viewing a chicken processing line at the Shen-Valley Meat Packers Inc. plant in Timberville Virginia during its opening. 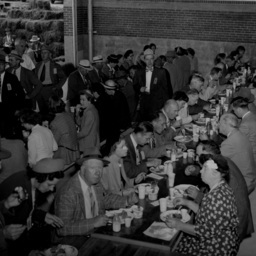 Photograph taken by William Hoyle Garber showing a crowd enjoying a meal at Shen-Valley Meat Packers Inc. during its dedication. 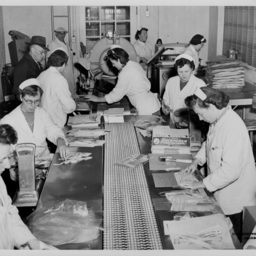 Photograph taken by William Hoyle Garber showing workers at the Shen-Valley Meat Packers Inc. plant in Timberville Virginia during its dedication ceremony. 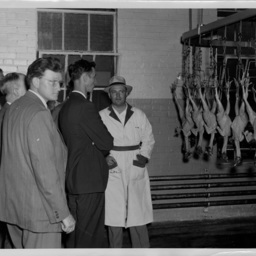 Photograph taken by William Hoyle Garber showing meat hanging at Shen-Valley Meatpackers Inc. during its dedication ceremony. 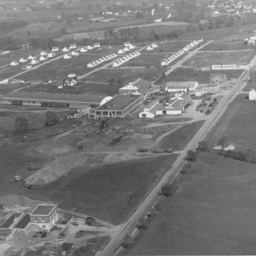 The meatpacking plant was located in Timberville Virginia. 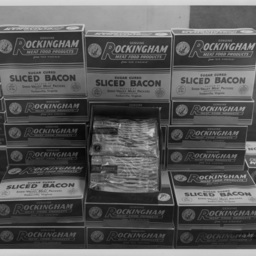 Photograph taken by William Hoyle Garber showing boxes of Rockinham Meat Food Products sliced bacon. 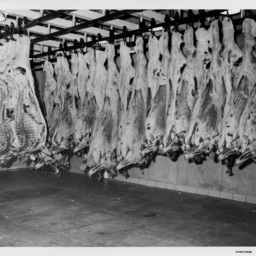 This product was producted by Shen-Valley Meat Packers Inc. in Timberville Virginia. The items here were displayed at its grand opening. 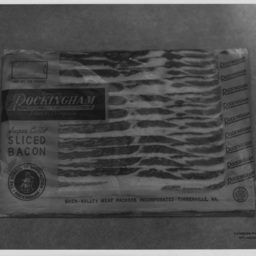 Photograph taken by William Hoyle Garber showing a Rockingham Meat Food Products packet of sugar cured bacon. This item was produced by the Shen-Valley Meat Packers in Timberville Virginia and was shown at the business' grand opening. 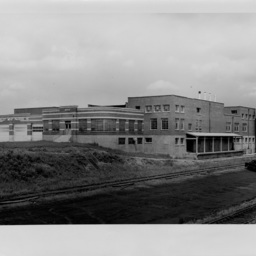 Photograph taken by William Hoyle Garber showing the Shen-Valley Meat Packers Inc. building in Timberville Virginia at the time of its dedication. 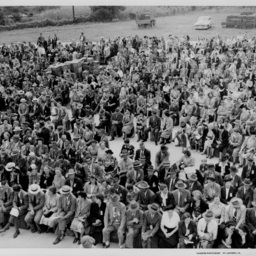 Photograph taken by William Hoyle Garber showing a crowd at the Shen-Valley Meat Packers Inc. dedication ceremony in Timberville Virginia. 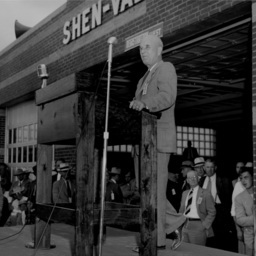 Photograph taken by William Hoyle Garber showing a speaker at the Shen-Valley Meatpackers Inc. dedication ceremony in Timbervill Virginia.